One of the biggest surprises in tech over the last two years has been the way that smart speakers have taken off. Originally available only to Amazon Prime members in 2014, the Echo was widely launched the very next year. And from 2015 to 2017, the combination speaker/virtual assistant took off. Besides Amazon and Google (whose already released Home has the second largest market share after Amazon), we will see smart speakers launched this year from Apple and Microsoft. The former, named the Apple HomePod, will come this December powered by Siri. The latter, named the Invoke, features a Harmon Kardon speaker and the Cortana assistant. 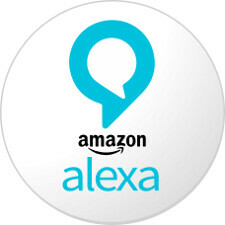 While the smart speakers themselves have been selling quite strongly, Amazon has been doing a brisk business licensing Alexa for use on other devices. The U.S. version of the Huawei Mate 9 features Alexa, and when the HTC U11 was unveiled in May, it was revealed that Alexa would be added to the phone in the U.S., U.K. and Germany as part of a software update. The good news for Alexa fans with the HTC U11, is that the AI assistant is part of an Edge Sense update that is being disseminated to the phone starting this Monday. In fact, launching Alexa with a squeeze of the handset is already listed as an option for HTC U11 owners who have downloaded the Edge Sense app from the Google Play Store. While Alexa is listed, you cannot actually open and deploy the assistant until Monday. One other new feature added to Edge Sense includes an improved feedback animation allowing you to know that you have activated the Edge Sense short cut. If you are the impatient type and can't wait for the update to hit your phone, click on the sourcelink to update the Edge Sense app from the Google Play Store. Remember though, even if you download the app right now, Alexa won't work until Monday. Samsung: we already have the superior Google Assistant, but lets add Bixby HTC: Hold my beer.. Hands down to your comment! Except Alexa is better than GA on a few fronts. Home control alexa kills GA. HTC implementation where you can choose what you want is far better than samsungs trying to lock you down to theirs either way. #clueless You're untitled to your opinion on Alexa being better than GA but I find the opposite. Also samsung gives you choice. Press home for GA press hard button for Bixby. Ive been using the Alexa on HTC U11 this past few weeks. on voice recognition I prefer Alexa than GA. more responsive. which is I need the most for my Home automation. But In GA you got more information, u can open apps, etc.